There you have it! 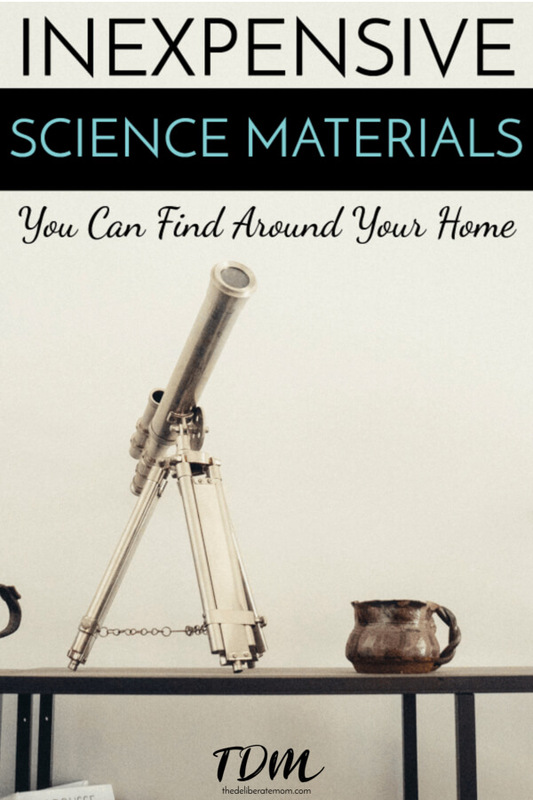 65 easy-to-find and inexpensive (or free) materials that you can use for your science explorations! Enjoy! Once I started assembling the box, I realized just how many science materials you can find around the house. It’s awesome! Awesome list! It is so true. Science, learning and fun are everywhere! It’s funny how after I posted this, I thought of at least 8 other things I could add to this list! Science IS everywhere! But watcha gonna do with them…that’s the real question! I really want an old big magnet like that too! You need a home schooling webshow! The thought of a webshow has crossed my mind a few times… you never know! I love the great big magnets! They’re so much fun! My girls’ favourite explorations this year involved magnetism. That’s a great list! My daughter loves to do little science experiments. It’s funny how much science fun you can have with vinegar, baking soda, and a few other things. I’d like to get one of those big magnets. I remember playing with one when I was a kid. Totally printing this out!! I had never even thought of most of these. Love your homeschooling posts, thanks for sharing this list! Sheesh, we certainly have most of those, if not at all. As for the insects, they really find their way in. Even with our 30 degree nights still! I appreciate this – I tweeted it! I’m so glad you enjoyed this and that you found the list helpful. Science is everywhere!